FedEx SmartPost is an efficient, cost-effective way to ship low-weight, non-urgent packages to residences within US. It helps you consolidate and deliver high volumes of low-weight, non-time-critical business-to-consumer packages using the USPS for final delivery to residences. 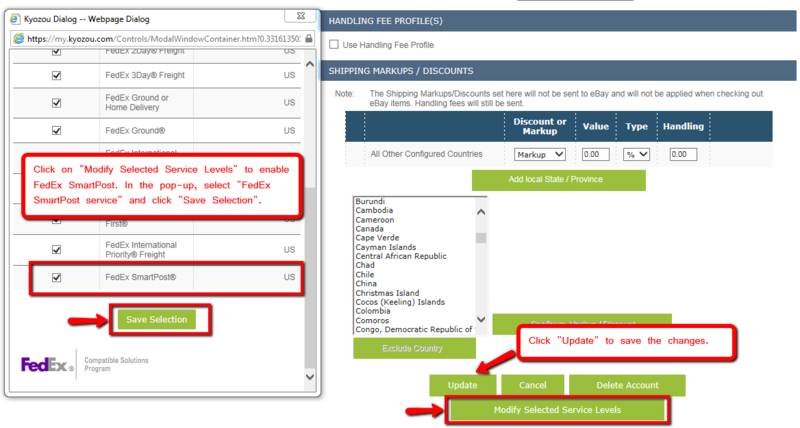 • Go to Administration>Control Panel>Step 7 and click on “Shipping Courier Settings” (click the image below). • In the settings, find your FedEx account and click on it (click the image below). • This will take you into your FedEx account settings. 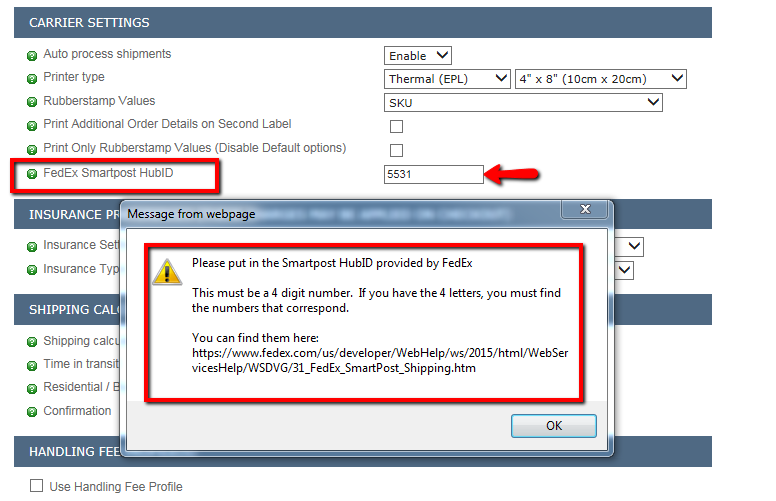 In the settings, scroll down to “FedEx SmartPost HubID field” and enter your HubID (click the image below). The value HubID is obtained from FedEx when you get approved for SmartPost. • Scroll down to the bottom and click on “Modify Selected Service Levels” button. A pop-up will appear where you can select “FedEx SmartPost” and click “Save Selection” button. In the absence of HubID, you will not see “FedEx SmartPost” option in this pop-up. Be sure to click the “Update” button to save your settings (click the image below). • In the product details page, find the section “Shipping information and Pricing” and click on “Fixed shipping” checkbox. A pop-up will appear where you need to select “FedEx” service in the first drop-down list and select “SmartPost” In the second drop-down list. Make sure to enter your fixed cost (click the image below). • Enter the rest of your product information and click ‘Save Product” button to save all the changes. • Go to Shipping>Process Shipment page. In the shipment details, enter the Weight and Dimensions. You will see a new drop-down menu for “Indicia and Ancillary Endorsement”. 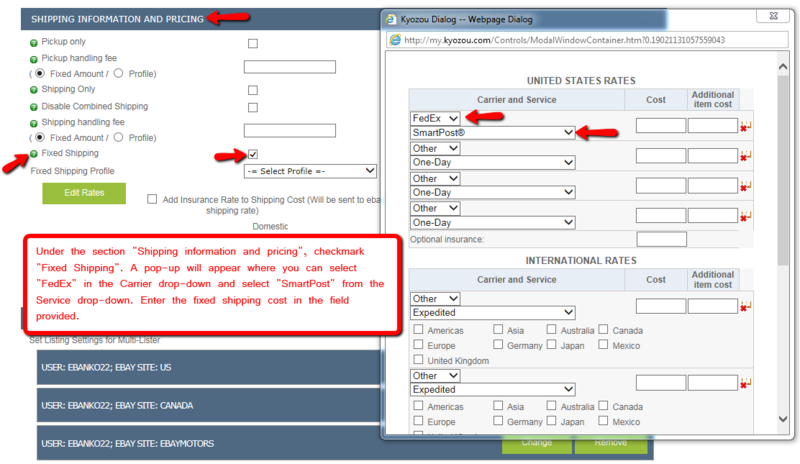 For the “Indicia” drop-down select the service that you would like to use for this shipment (click the image below). • In the “Ancillary Endorsement” drop-down select which return service you’d like to use (Click the green help bubble to see what each ancillary Endorsement means). Please note that “Ancillary Endorsement” is only for domestic shipments. • Click on the “Recalculate” button and select “FedEx SmartPost” service level. 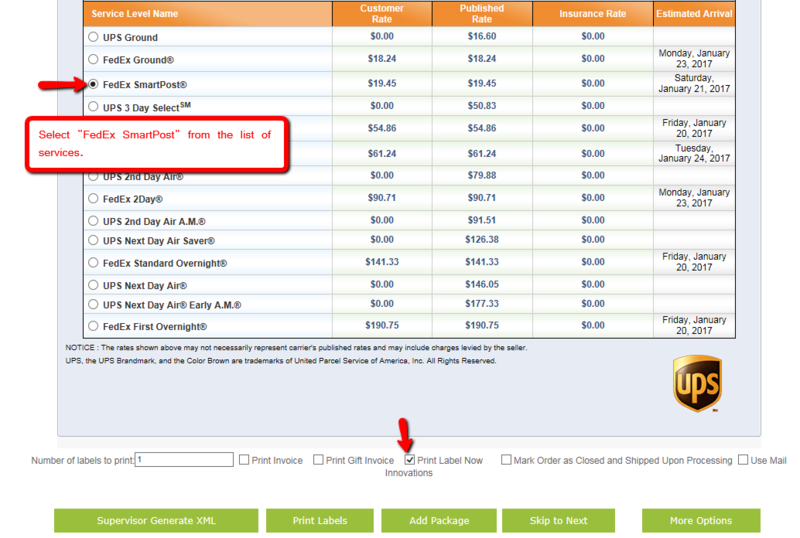 Select “Print Label Now” checkbox to print the label and click the “Process Shipment” button. The tracking for your SmartPost package will be generated and a label will be printed (click the image below). • In order to add FedEx SmartPost as a fixed shipping service level via Excel, enter the value “FedEx SmartPost” in the “FixedShippingExpressService_0” column.